The Space range is modern, but with pure lines and form so that any piece of the range can easily fit into any interior style scheme. There are numerous colour options ranging from neutral to bold to daring - use the extensive colour palette to express your sense of style. 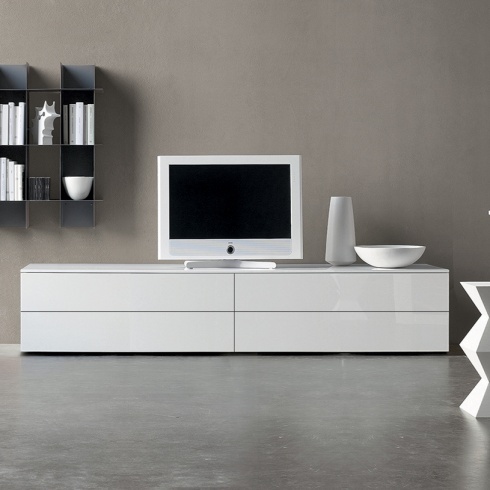 Designed & made in Italy, the Space collection is a highly popular range of units that are designed for tv/av storage. 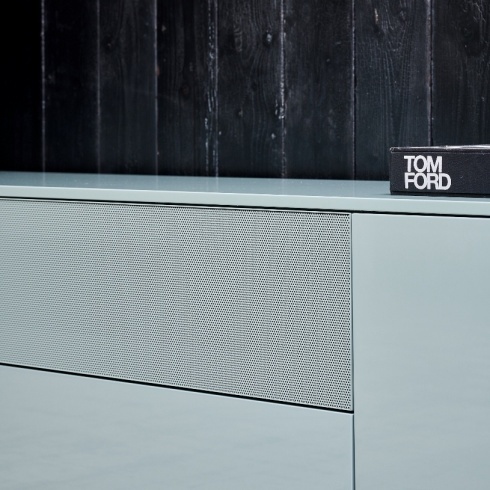 Each unit has been carefully thought out to provide an optimum amount of storage for av equipment, whilst the sleek, minimal exterior adds an understated elegance to any interior space. The Space range comes with a push-click opening mechanism that allows the doors and drawers to open by simply pressing on the front. Available in a choice of matt lacquer, ash lacquer or high gloss lacquer in 30 different contemporary colours, or in walnut veneer or a choice of oak wood veneers. 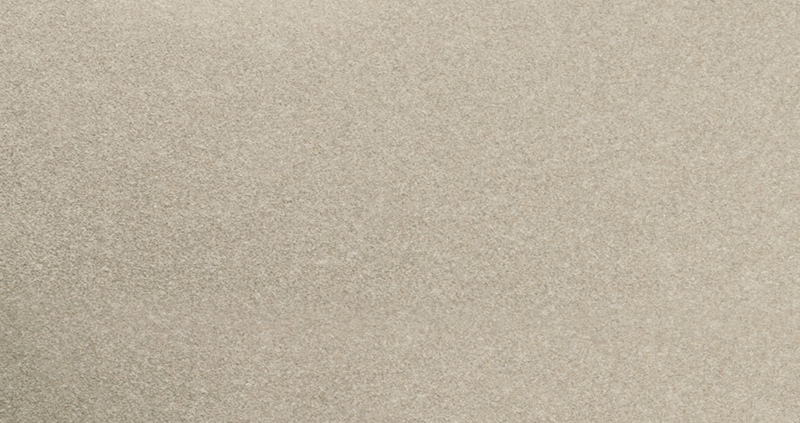 Available in a wide range or matt, gloss or wood veneers. Our delivery prices vary depending on the delivery location, as outlined in the table below. The delivery charges below are to the 1st floor only. Deliveries above the 1st floor are charged at £15 per floor for each floor walk up unless you have a working lift on the day of delivery. Assembly Our normal delivery service includes standard assembly and set up of furniture in the room of your choice. The lead time for this item is usually 8-10 weeks. This is the time it takes for your order to arrive into the UK. During the entire month of August all furniture manufacturers in Italy, and most of Europe, are closed for their annual summer holidays. Orders placed in the run up to August, and within the month of August will have their delivery lead times affected. Orders placed in August will mean that the lead time quoted for your order will be effective from the 1st of September. Orders placed in the 4 to 8 weeks leading up to August will have their lead times effected on a pro-rata basis. During the month of December manufacturers have between a 2-3 week break. Production is stopped during this period, so if you order is being produced between this period please bear in mind that this can affect your standard lead time.